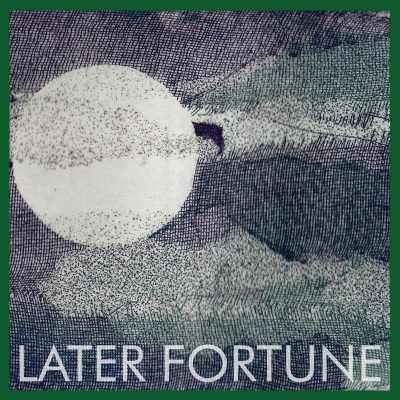 Later Fortune is the brainchild of Philadelphia’s Chet Delcampo and Heyward Howkins – two indie artists who have made their mark with solo records that stood apart from the crowd by using intelligent lyrics married to ridiculously strong melodies. Chet Delcampo (real name Chris Madl) took his name from Steve Buscemi’s character in the Coen Brothers’ classic, Barton Fink. He’s released a few solo records and singles along with two records under the Hong Kong Stingray moniker. Indie rock at its finest. Heyward Howkins might be familiar to some of my readers as I’ve reviewed both of his solo albums. I really have always loved his folk / pop sensibility as filtered through historical anecdotes by way of his Philadelphia roots. A band formed around these two huge talents is a major force to be reckoned with. The band started out as a way for friends to get together and record spontaneous collaborations. The idea of recording a song a month was thrown around, with the result being an album released at the end of 12 months. Sometimes the best ideas start out with the best intentions but lead to a different result. And here’s what we have – the brand new, debut single from Later Fortune. As an introduction to a new band, it is perfect. It makes an impact and leaves the listener wanting more. A 12 Year Audition is a low-key gem, hushed vocals and resonant, joyful melody that builds as the song progresses. Birds of Papau is an instrumental b-side, evocative in the atmosphere it builds over the course of 3 minutes or so. You can pick up the record here. I’m really looking forward to what comes next from Later Fortune , this is an impressive debut.